Well, the trip is ended and what wonderful memories we have made. I will endeavour to get them blogged about as soon as life returns to normal, if that is possible. We travelled 26,500 miles across a number of time zones so the old jet lag is having a ball at the moment! 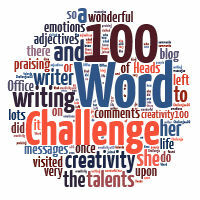 Pingback: 100 Word Challenge for Grown Ups – Week#169 — A Time To Kill | Oh Danny Boy!